I love Vampire Weekend, just love ‘em. With every band that you like, the second album can be the most frustrating thing in that it doesn’t live up to expectations or diverges too much from their original album that you love and hold so dearly. But Vampire Weekend have not buckled down to make something creatively inferior to their debut, or an album that simply retreads familiar ground for commercial gain, “Contra” is an album that has enough of it’s own merits that set it apart from the last Vampire Weekend album, as well as being reminiscent and with traits that definitely stem from their previous work. Contra, to me, as a whole sounds more like Rostam Batmanglij’s non-Vampire Weekend band Discovery whose 2009 album I REALLY LOVED and something I’m not going to deride. However, the highlight of that album was, undoubtedly the song Carby featuring Vampire Weekend frontman Ezra Koenig. And it is Koenig’s vocals and lyricism that really add alot to Batmanglij’s production. 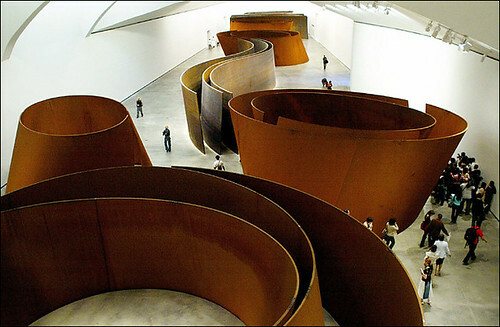 In the song “White Sky” he comes out with this brilliant line; “…on the second floor of Richard Serra’s skatepark” which being an art student made me smile, there are constant, quick, occassionally witty lines that you can pick up on, just like the brilliant segment in the “Cousins” video that Koenig acts out. Overall, I really enjoy Contra, it’s chock a block of good songs and unlike the debut, didn’t take me a long time to grow to love either. It’s out on the 12th of Jan and is available to stream on the Vampire Weekend website Be sure to buy it when it comes out, if you pre-order off of itunes you get to download Cousins immeadiately too! 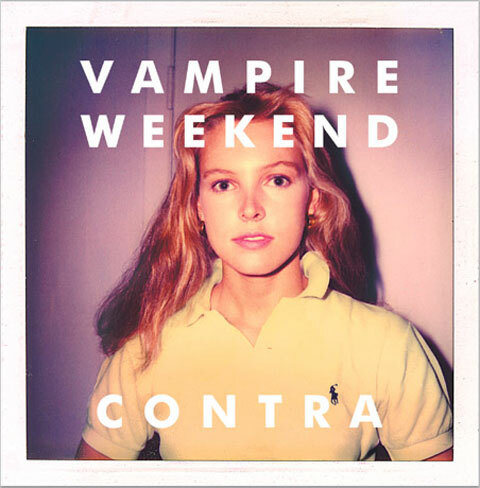 On behalf of XL Recordings and Vampire Weekend, we would kindly ask you not to post copies of “Contra” on your site (or any non-preview tracks from Vampire Weekend’s new album – street date 11th Jan UK & 12th Jan US). We do appreciate that you are fans of / are promoting Vampire Weekend, but the label and artist would greatly appreciate your co-operation in removing your links to the pirate files in question. Thank you for respecting the artist’s and label’s wishes and, if you / your readers want good quality, non-pirated, preview tracks, then full length versions of “Horchata” and “White Sky” are available for fans and bloggers to link to / post / host etc at http://www.vampireweekend.com . Additionally, all three tracks from the Vampire Weekend Meets Toy Selectah bonus CD “Contra Megamelt” (“Cousinz”, “Contramelt A” and “Contramelt B”) have now also been designated as fan previews for sharing ahead of release … .. for further details of the new album, on-line promotions, videos and 2010 shows, check-out the official site, as well as the band’s Myspace at http://www.myspace.com/vampireweekend and XL’s YouTube channel at http://www.youtube.com/user/XLRecordings … .. and keep an eye on these official sources for details of further news, preview material and on-line promotions. As a special, New Year’s gesture to fans and bloggers, an exclusive preview stream of the full album is now also available at the band’s MySpace page … .. this is for hyper-linking ONLY and for streaming by fans directly off the band’s MySpace , so please reciprocate this goodwill gesture by NOT ripping or embedding these files … .. similarly, a streaming widget is now also available off the band’s web-site for fans and bloggers to embed / enjoy pre-release but – again – please only use the official widget and don’t offer or embed ripped / pirated files.